Celeb Gossip News – Star Wars 9: Will Anakin Skywalker’s Force ghost appear in Episode IX? 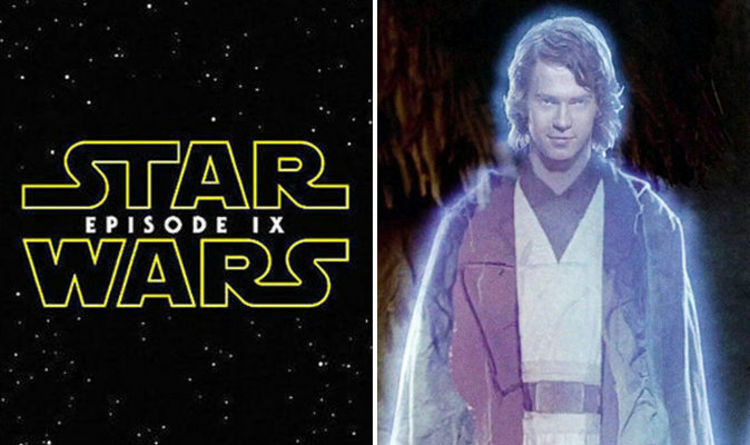 Star Wars 9: Will Anakin Skywalker’s Force ghost appear in Episode IX? He was last seen at the very end of Episode VI: Return of the Jedi, alongside Yoda and Obi-Wan Kenobi. Since then the latter two could be heard in Rey’s Force back vision during Episode VII: The Force Awakens. And then when Episode VIII: The Last Jedi arrived Star Wars fans were treated to Yoda’s Force ghost in a scene with Luke Skywalker on Ahch-To. So surely it’s time for Anakin to reappear in the final episode of not just the sequel trilogy, but the entire Skywalker saga? After all, who would be more key in turning Kylo Ren around than his very own redeemed grandfather, the former Darth Vader? At the very least a collection of Force ghosts shown together as Star Wars 9 ends would be most appropriate, just like at the end of Return of the Jedi. Imagine not just Obi-Wan Kenobi, Yoda and Anakin, but also Qui-Gon Jinn and Luke – the last who become one with the Force at the end of The Last Jedi – all together in a celebratory climax. In fact there’s a rumour that Ewan McGregor is secretly shooting a cameo scene for Star Wars 9. A US source said: “Ewan will secretly film for the next Star Wars movie. Of course if McGregor returns as Obi-Wan he’ll have to have his face aged and hair dyed white to match that of Sir Alec Guinness in the original trilogy. Although if Hayden Christensen returns as Anakin’s Force ghost too, he won’t need to have any drastic makeup changes. Meanwhile Anakin is set to return alongside Thrawn in a new story from the prequel trilogy era. Anakin will meet Chiss military fan favourite Thrawn in Thrawn: Alliances. An excerpt released to the official Star Wars website sees Skywalker meeting Thrawn for the first time; shortly before his transformation into Darth Vader. It’s Vader who features heavily in the book, with the story following him and Thrawn as they work together to complete a mission for the Empire.